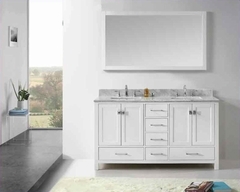 Coaster Bedroom Mirror DuBarry CO201824. The DuBarry mirror crafted from mahogany solids and veneers and finished in a rich brown tone. 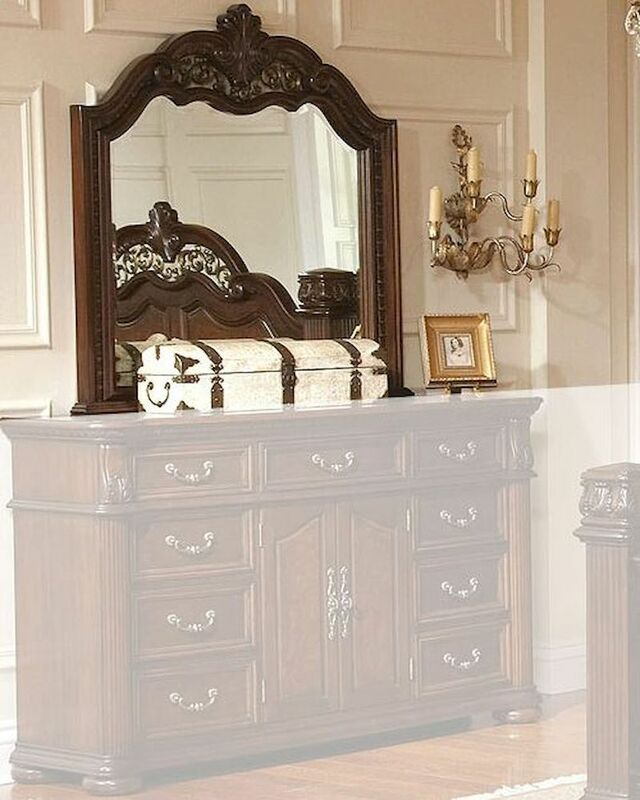 This collection features intricate carving details, reeded pillars, traditional bun feet, and an abundance of storage space to complement any classically-styled home. Drawers are constructed with dovetail sides for added strength and feature full extension drawer glides for smooth serviceability. Rrame constructed of mahogany solids and veneers. Mirror with intricately carved frame.